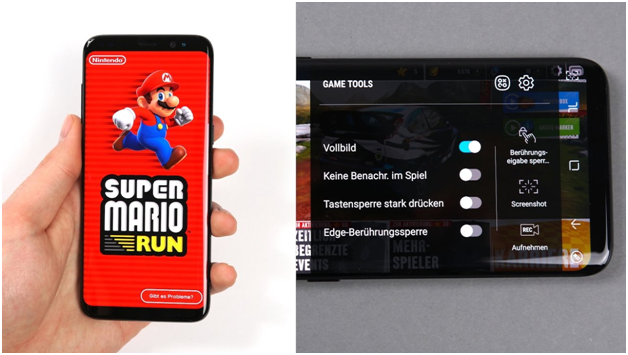 If you want to Game Tools features on your Samsung Galaxy S8 device, then here we can some tricky ways through enable Game Tools on galaxy S8 Plus. If you have any idea about, what is the game tools and how to use them on samsung Smartphone? Lots of new features to introduce the new Samsung flagship Phones, Recently release Samsung Galaxy S8 and Galaxy S8+ also to get a Game Tools feature; it can be also to available on Galaxy S7 and S7 edge, and then retroactively added the feature to the Galaxy S6. Samsung introduced Game Tools on their phones starting with the Galaxy S7 and S7 edge. If you are mad about playing android games then it’s for you more impotent, using this feature you can easy access to a bunch of really handy settings for screen recording and avoiding distractions during gaming marathons. So here we will show you for the best ever new flagship Smartphone Samsung Galaxy S8 and Galaxy S8+: how to use Game Tools or Game launcher. It can get the new physical button on screen and easy to play on-screen navigation control. Also the most important settings that it provides refer to a quick-minimizing button for your game, the option to disable distracting notifications while playing and, of course, the option to lock out the recent and the back keys. 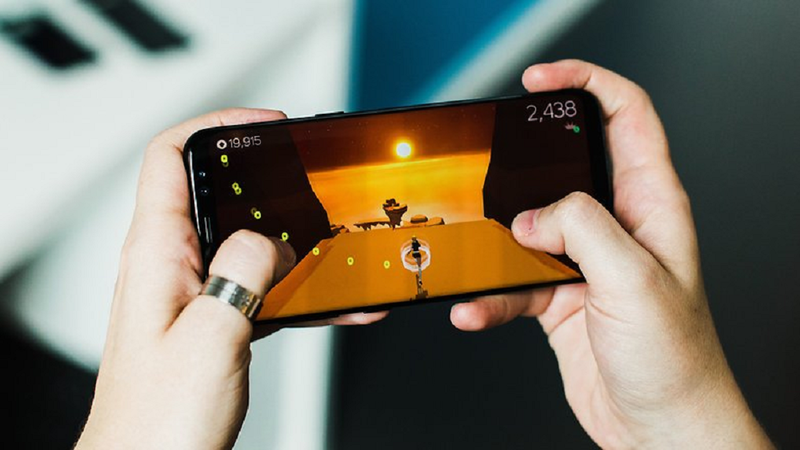 Screenshot and Resort are two other cool features that you can use to screenshot a sequence of your game without having to make that Home-Power button simultaneous tap or even to create screen records while you are playing on the phone. It even features an image/video overlay option that will let you record Let’s Play videos and then easily share them on any social network, YouTube included. Game Launcher is an icon that can open all your games from one place, the Home screen. 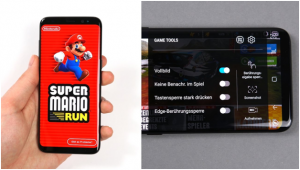 Aside from providing you quick access to your selection of games, it will also let you start the Game Tools feature right from there, without having to access the Galaxy S8 or Galaxy S8 Plus settings. Maintain your Home screen airy and uncluttered, with all the games hidden behind only one icon. Now Scroll down for the Advanced Setting Features. Identify the Game Mode and the Game Launcher options. 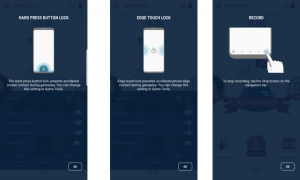 Tap on them to explore the features that you can personalize and to decide which one you want to activate by switching its toggle from Off to On. If you have use this game tools on galaxy s8 then you should be able to see it, just active on the phone of the screen – it’s get red button floating around. Using this Game Tools button we have dragged anywhere on the screen and all it takes to bring up its menu is one tap. You’ll see a couple of handy features, like turning off the alerts during the game or disabling the back and recent buttons so you won’t accidentally tap them during the game. If you have a select any one option then what happen in screen like: the Screen Record, it is best to start from the Settings menu of the Game Tools, where you can personalize some options and features – you can set up your avatar in there, activate the live video recording through the front camera, or the audio recording, which can stick exclusively to the game audio or allow you to make comments while playing and record them through the Galaxy S8 or Galaxy S8 Plus’s microphone. Long press the Shortcut button. The Game Tools menu is the shortcut button through, we can quick access to one of three actions like: take a screenshot, start and stop recording video, or turn on Screen Touch Lock. It’s very easy to setup and can be changed on the fly as needed. Also setting up video resolution and bitrates are two other tech details you’d like to have a look at before you proceed to the actual playing and recording. Galaxy S8 is able to record up to 4GB per recording, which equates to 80 minutes of gameplay at 1080px resolution, its highest setting.